Airbnb: Why I’m Using it and Why You Should Too. 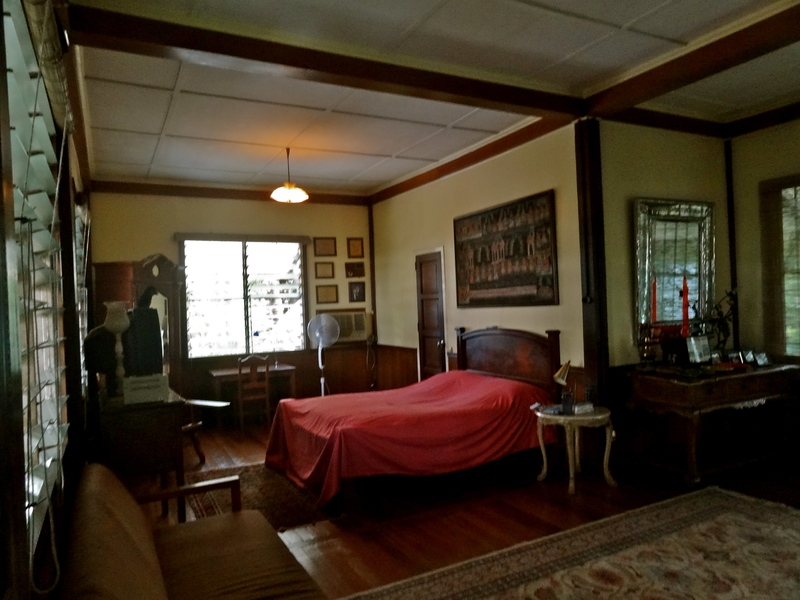 On my recent trip to the Philippines, I spent a night in Manila at a charming vintage Spanish villa, complete with high ceilings, old hardwood floors and tasteful antiques. It sat in a quiet bylane of a typical Pinoy barangay (neighborhood). During the day, mellow instrumental music wafted in from the large windows, and down on the streets, boys from the neighborhood played basketball, aiming for makeshift hoops. In the evenings, jeepneys and tricycles, the heartbeat of the Manila Metropolis, moved in organized chaos on the narrow roads, much like in India, soliciting passengers at every corner. This is how I like to travel. Experiential luxury and sampling the way locals live, without busting my budget. And that’s why I’ve become an Airbnb convert. 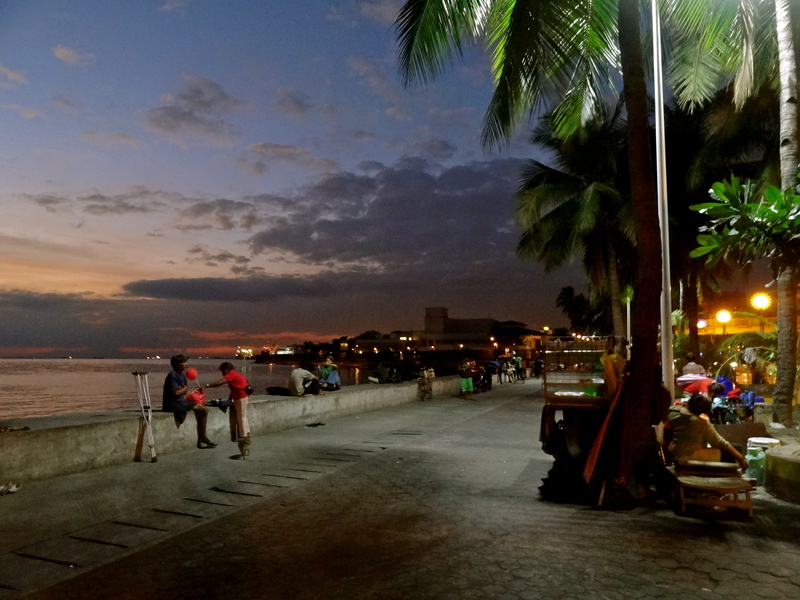 Strolling along the Manila boulevard, minutes from my Airbnb house. For the uninitiated, Airbnb is a network for locals across the world to offer a room or their entire house, for short-term rental to travellers. The rentals are somewhat midway between homestays and BnBs; you aren’t expected to mingle too much with your hosts or find the amenities (think room service, fancy toiletries) of a modern hotel. What you can expect though, is a non-touristy flavor of local life and a luxury stay with character. Take my time at Coco’s Garden in Manila for instance. I wouldn’t trade my charming room overlooking a green neighborhood, an ultra-fast Wifi connection, a fully equipped kitchen for light cooking, and the chance to be in the middle of the local action, for a drab hotel room in the city. My charming room in Manila. I recently confessed that the more I travel, the more I find myself unwilling to compromise a good standard of living while travelling, despite my love for off the beaten path accommodations that allow me to interact with locals (Read: Confessions of an Indian Nomad: 7 Months on). And in expensive cities like Adelaide, Barcelona and Istanbul, where a boutique hotel could cost you upwards of 80 Euros, I’ve found indulgent Airbnb rentals for half the price, in local neighborhoods that I wouldn’t otherwise have known about. Australia is one of the most expensive places I’ve travelled to recently, and I needed to stay in Adelaide on my last day to make my morning flight. It turned out that my date clashed with the weekend of Adelaide’s famous car rally, and the few hotels that did fall within my budget were sold out. Private rooms and even dorms in hostels were gone. Spending the night at the tiny Adelaide airport was looking like the most feasible option, but Airbnb came to my rescue. I ended up staying in a gorgeous suburban neighborhood by the River Torrens at Bryan’s place, and found quite the perfect way to cap off a memorable trip – a fun evening at a neighborhood pub, and chatting the night away with my friendly hosts (Read: 10 Unforgettable Moments in South Australia). I was also only a 10-minute drive from the airport, which my hosts generously offered to drop me to, saving me a fortune on early morning cab fares! 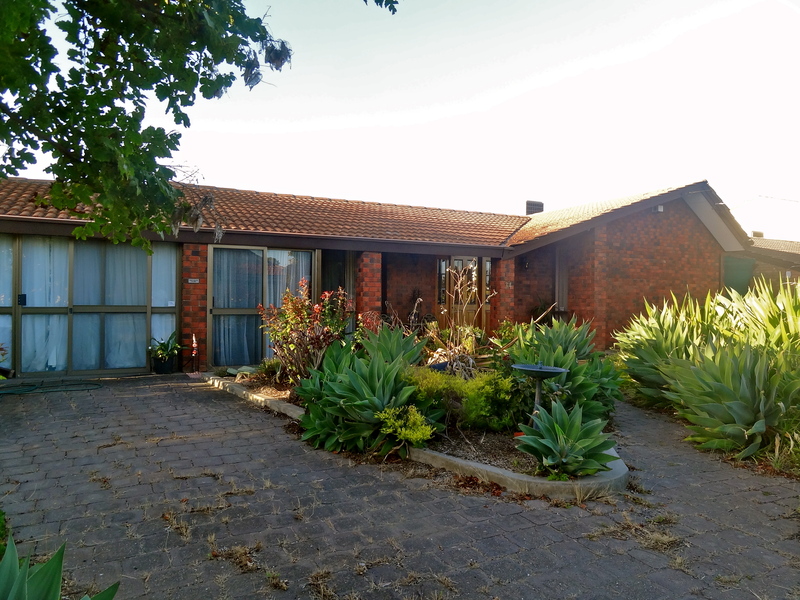 My quaint home in the suburbs of Adelaide. I’ll be honest – I resisted Airbnb for the longest time because my first two experiences were a little disappointing. The first in the old town of Barcelona, where I landed up at a house whose heating had broken down during an unexpected cold wave. The second was in Istanbul, when we landed in a tiny studio (described as spacious by the host), where even turning without hitting our bags or each other was a challenge! In retrospect, I know why I made these questionable choices; I didn’t take their reviews as seriously as I should have. Airbnb only allows you to review destinations that you’ve booked from your profile, and the reviews of other travellers are often far more reliable than the descriptions offered by some of the hosts. 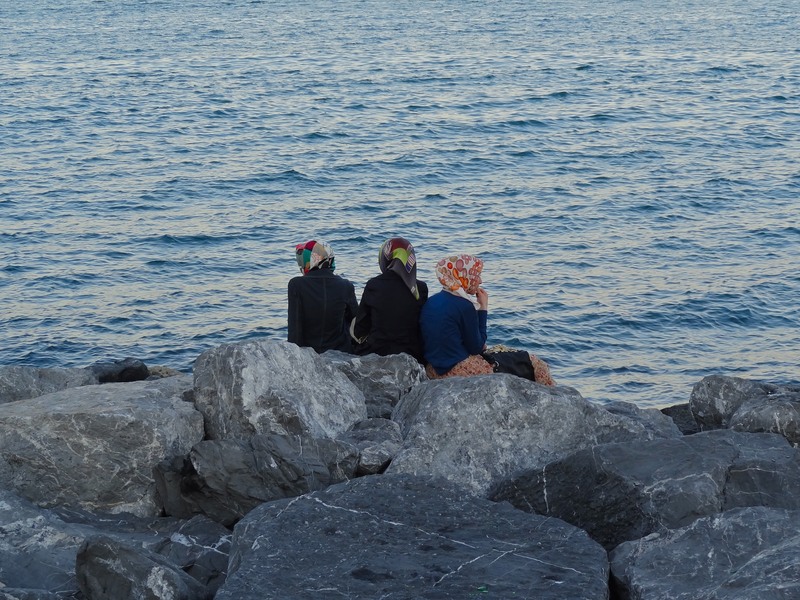 Observing locals by the Bosphorus in Istanbul. As someone who likes to travel with complete freedom, I hate booking flights and accommodations more than a day or two in advance. I like to change my plans, stay longer in a place that inspires me, or impulsively decide to head to a place I know nothing about. Many of these impulsive decisions need to be routed through expensive cities, and even if just for a night, I would rather pay a little more for an experience I’m going to remember, rather than shack up in a characterless room I can’t wait to get out of. A friend recently told me she booked a room on a yacht via Airbnb in Hong Kong, but since no one else was booked on the same day, they managed to have the entire yacht to themselves, affording an experience that only millionaires otherwise do! Who knows what treasures await you on the roads paved by Airbnb? 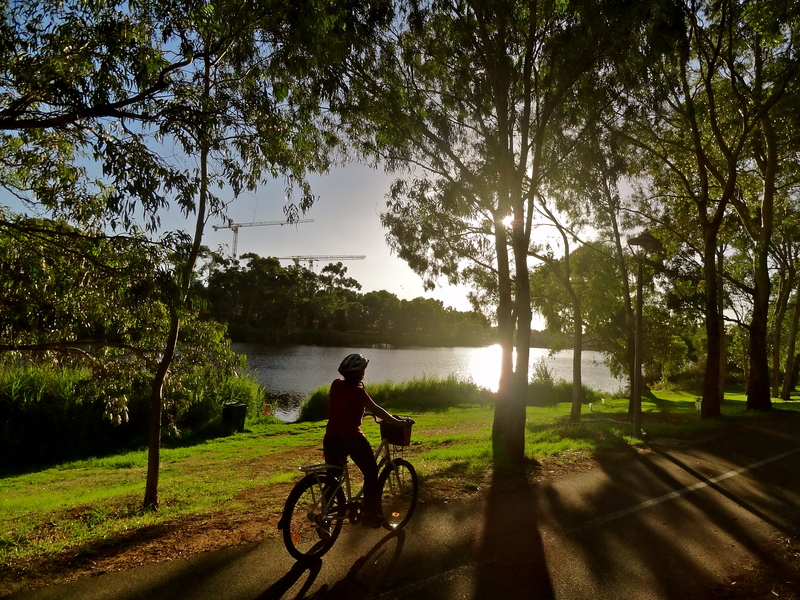 Cycling along River Torrens in Adelaide. Have you tried, or would you like to try, Airbnb? Use my referral link to sign up on Airbnb, and we both get INR 1,500 ($25) to travel. This post was written in collaboration with Airbnb. Tweet them @airbnb_in. Convinced Shivya.. I almost used it for my trip to Thailand but wasn’t too sure.. Think I’ll give it a go now. Wow.. I did not know about this at all! Will definitely give this a go! Tell me how it works out for you Shikha! Completely agree with u, swear by air Bnb, travelled Paris and multiple cities in Spain via air Bnb and just had 1 bad experience in Seville, wherein we actually wanted the AC which wasn’t functional and it was 40 degrees Celsius in peak summers !! Btw, i love to travel and I have been following u for a while now and was happy to read about u in the latest Femina. Keep at it. Admire u !!! Yay, thanks for buying your book via my blog, Zahra! Totally agree- we discovered Airbnb recently when we were planning our France trip which is an expensive country to travel – and fell in love with what they offer- they have options to suit all tastes and budgets. We have booked all three destinations in France(Paris, Bordeaux and Avignon) through air bnb- will share the review once we actually experience the places but till now – it has been awesome to discover the variety of options available. Liked your post. Relaying our experience we found Manila Boulevard & Makati city to have two distinct flavors to life. Former is akin to holiday living while later akin to a mini (on 2nd thought, micro) Manhattan. I think Manila Boulevard itself has such different faces; the interiors of the residential neighborhoods as opposed to the bayside restaurants. It’s somewhat true for all of Manila too! Sounds brilliant! I’ve heard about Airbnb quite a bit lately, so I definitely think I ought to check it out. Couldn’t get your referal sign-up link to work though…? You ought to, Katie! Where’s your next trip? That’s cool. Never knew that there exists an option like Airbnb also. I am definitely gonna try it for my next trip. Thanks a lot for your valuable post. I’ve got a lot of AirBnB places lined up for my future trips! It is a great app and some of the houses are really beautiful!! I also like that it fits into a decent budget and I am really waiting to give it a go!! I did stay in Hongkong with Airbnb for more than 8 days and really enjoyed my owners trust on me.I had a full house for me for 3 days.It was with kitchen ,hall and Aircon and a sit out to have fresh air in that city of concrete jungle.My place was very near to the MTR and market.As a Backpacker I would like to stay in these places to know about the people and culture.In one Sunday I was able to see a film shooting with American and British crew taking road scens about a Backpacker lost in Hongkong next to where I stayed..
What an experience! Sounds like you got a perspective of HK that people who stay in hotels possibly don’t. It’s too bad I didn’t know about Airbnb (or maybe it didn’t exist), back when I visited Hong Kong myself, 7 or so years ago for a job interview! I tried Air B&B for the first time last year and I was a bit nervous but there was no need. We were able to stay in central Barcelona in a great flat and would have paid through the nose for a similarly located hotel. I hope everyone tries this, so worth it! I agree with you Melissa, it’s a great way to save money and have some interesting experiences in expensive cities! Airbnb is very powerful tool for exploring new destinations.. When I came to Shanghai, I used airbnb.. Its was primarily because being a veggie I needed a kitchen to cook my food which was difficult to do in hotels… the studio kind of kitchenettes in hotel hardly have anything more than a microwave and its expensive… The airbnb host helped me get oriented to Shanghai… even he could advice me on what veggies can I buy from supermarkets.. its so useful in places like china where everything in the supermarkets is written in chinese..
That’s interesting, Jyoti, and sounds like a great option if you want to stay long term and cook your own food too. Thanks for sharing your experience! Hii..the URL mentioned in “Use my referral link to sign up on Airbnb, and we can both get cash credits to travel when you make your first booking.” doesn’t seem to work. I tried multiple times…can you please check it..thnx!!! Agree! I’ve been using Airbnb for the last 2 years and became a host in Singapore, letting out the extra bedroom and making a lot of friends in the process. I’ve stayed in an artists house in Nice, an attic in Marais – Paris, a villa in Ubud and the cutest apartment in Ginza – Tokyo through Airbnb. Just signed up and excited to try Airbnb out for my next trip! oh my Gosh, i’m always looking for homely places to stay at on the cheap. this looks perfect!!! This sounds wonderful, thank you for sharing! I had been an avid couch-surfer while traveling in the States and Central America. For my adventures in Asia and Europe, this sounds like a great alternative. Pingback: 5 Alternatives to Hotel Stay | The Sunlit Window. Reblogged this on Chetan Raj's Blog. Yet another super useful and interesting post from you. I have been planning a Rio De Janeiro or a Buenos Aires trip in November. Using AirBnb .. Let’s see how it goes. Are you planning any South America trips? Previous Post7 Reasons Why Bohol is My Favorite Island in The Philippines. Next PostIn Photos: Hiking from Darjeeling to Sikkim!